Dickens and Orwell - radical conservatives? On Boxing Day Tory Historian fulfilled a long-standing plan and visited Dickens House in Doughty Street. Charles Dickens lived there for only three years but it would appear that all the other houses in London that he lived in have been knocked down. So, one takes what one can get. There was an exhibition called “Ignorance and Want”, referring to the two miserable children who cling to the Ghost of Christmas Present and dealing with Dickens’s fight both in his writing and in action against those evils. 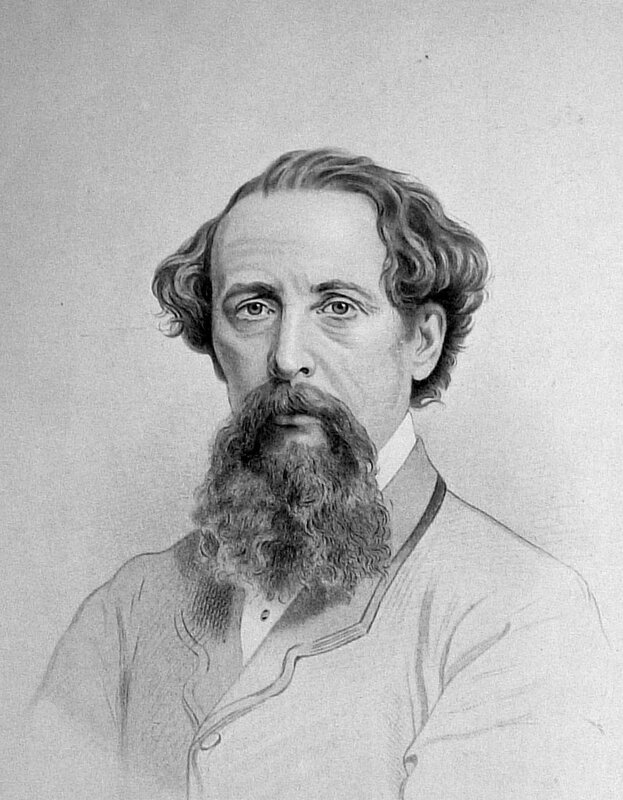 The exhibition immediately raised the question of whether Dickens was a radical as he is described by many. Undoubtedly, he was on the side of the underdog, of the oppressed, of the humiliated, no matter who they were. In “Tale of Two Cities” he makes it clear that the horrors of the revolution are brought about by the behaviour of the French aristocracy or the rather degenerate members of it that he writes about. But, once the tables are turned, the tumbrils are rolling, the tricoteuses are in place there can be no doubt as to whose side the author is on. Be they underfed and severely flogged children, exploited clerks, girls forced into prostitution or any other group of victims, Dickens was on their side. He wrote about them with real passion and he tried to help through various organizations such as those set up by Angela Burdett-Coutts. But was he a radical? It was George Orwell in his first-class essay of 1939 entitled simply “Charles Dickens” who first posed this question and noted that Dickens and his novels are loved by all those he attacked: lawyers, civil servants, teachers of all kind, rich and poor alike. The reason for that, Orwell posited, is that Dickens had not interest in either changing or subverting society. A true representative of the English urban middle class, according to Orwell, Dickens had no interest in serving society. Parliament is simply Lord Coodle and Sir Thomas Doodle, the Empire is simply Major Bagstock and his Indian servant, the Army is simply Colonel Chowser and Doctor Slammer, the public services are simply Bumble and the Circumlocution Office – and so on and so forth. What he does not see, or only intermittently sees, is that Coodle and Doodle and all other corpses left from the eighteenth century are performing a function which neither Pickwick nor Boffin would ever bother about. Similarly, with education, a topic very close to Dickens’s heart. As Orwell points out, the schools Dickens approves of, such as that of Dr Strong’s are no different from Mr Creakle’s except that the former is run well by a man of noble feelings and attitudes who genuinely loves learning. Why does Dickens not offer some ideas of educational reform, asks Orwell. Why cannot he see that it is the whole system of private property and private enterprise that is wrong? The obvious answer to that is provided by the essayist himself: Dickens was not a political animal and did not really believe that changing structures was more important than changing human souls. 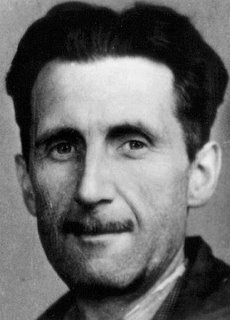 Looking back on the twentieth century one cannot help agreeing with Dickens rather than with Orwell, except that the latter also half-agreed with the former. It’s just that he could never completely discard his socialist assumptions. Now that we have an almost complete state control of education, classics have been discarded and teaching has become modern, relevant and child centred, Ignorance is more strongly ensconced than ever before. The people in countries where private property was abolished led and still lead a more wretched existence than those where private property remained the norm. It is, after all, private individuals like Shaftesbury who fought against injustice and oppression, such as the overworking of young children in homes and factories. Dickens was nearer the mark about trade unions: they did turn out to be little more than cartels and not really the great hope of the working man. For all of that, Orwell has a point about Dickens. He may be on the side of the oppressed but he does not particularly intend to have the oppressed take their lives into their own hands. The famous episode of David Copperfield working in the glass washing factory, based on Dickens’s own experience in the blacking factory, is a case in point. David is miserable and the author is entirely on his side. But part of his misery is that he has to associate with the low boys of the factory. David escapes and we cannot help feeling that it is right and proper that he should not work ten hours a day for a miserable pittance in appalling conditions. There is no indication that Dickens thinks that the other boys should not work ten hours a day for a miserable pittance in appalling conditions. Perhaps, if some kindly gentleman or lady rescues them and restores them to their rightful middle class position that can be acknowledged. When one reads any strongly individual piece of writing, one has the impression of seeing a face somewhere behind the page. It is not necessarily the actual face of the writer. … What one sees is the face that the writer ought to have. Well, in the case of Dickens I see a face that is not quite the face of Dickens’s photographs, though it resembles it. It is the face of a man about forty, with a small beard and a high colour. He is laughing, with a touch of anger in his laughter, but no triumph, no malignity. It is the face of a man who is always fighting against something, but who fights in the open and is not frightened, the face of a man who is generously angry in other words, of a nineteenth-century liberal, a free intelligence, a type hated with equal hatred by all the smelly little orthodoxies which are now contending for our souls. Something similar could be said about Orwell, despite his determined attempts to cling to socialist ideology. The Hundred Years’ War notoriously lasted 115 years. Either they could not count or they did not know precisely when it started and when it ended. Or, possibly, historians prefer snappy names and titles. Well, anyway, I used to think it was 115 years, but Wikipedia says it was 116, from 1337 to 1453. The beginning is slightly muddled, with French ships attacking coastal settlements, arguments over the Gascon fiefdom and Edward III helpfully telling the French that he was, in fact, their rightful king. While not every year of those 115 or 116 were taken up with fighting a good many were and a very muddled business it was, too, with various smaller states, changing sides as they saw fit, rebellions breaking out within them and peace treaties being signed and broken. Who knows all the official combatants? On one side there were England, Burgundy, Brittany, Portugal, Navarre, Flanders, Hainault, Aquitaine and Luxembourg; on the other, France, Castile, Scotland, Genoa, Majorca, Bohemia and Aragon. But the lists changed from time to time. It is reasonably clear that one aim of the war was to subdue various duchies and smaller states that the King of France wanted to control. In the second one, the Protestant Assembly threw out two Imperial governors who had tried to impose their own Roman Catholic religion. The two landed on a pile of manure and left unharmed, though rather smelly. The final defenestration took place 330 years later, in March 1948. As the Communists took over, the non-Communist Foreign Minister, Jan Masaryk was found under his bathroom window. Yes, I suppose, it might have been suicide. Or he might have been suicided on the orders of Klement Gottwald, the Communist leader. The Peace of Westphalia is quite often referred to as the Treaty of Westphalia and is one of the most misunderstood and misquoted documents in modern history. In fact, Tory Historian intends to do a long blog on the subject just as soon as …. 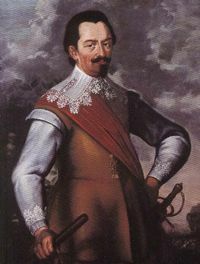 The Thirty Years’ War may have had a definite beginning and ending but it was a muddled affair, with various German states fighting here and there, not to mention Bohemia (part of the Holy Roman Empire), Sweden, France (which did rather well out of it, what with getting Alsace-Lorraine and Metz), Denmark, Spain and the Dutch. When one gets to the eighteenth century, it can seem as if there was nothing but toing and froing, what with the War of Habsburg Succession and the Seven Years’ War with the diplomatic revolution between them. Still, they all ended with a peace treaty and a more or less accepted settlement. The continuing French revolutionary and Napoleonic wars remain a headache for all. Again, we know when they ended, though before that there were many breaks, peace treaties that did not hold and countries changing sides either voluntarily or not. That, too, is a subject for another blog or, perhaps, several. Let us move on, rather rapidly, to the twentieth century. How many wars did it have? My own supervisor at Oxford, A. J. P. Taylor, said a long time ago that the two World Wars were in reality one war that lasted from 1914 to 1945. The two main antagonists remained the same but others changed, empires broke up, new states were created, and various rebellions and changes in political systems rearranged the picture. Margaret Macmillan in “The Peacemakers” seems reasonably certain that most of what was done in 1945 about Germany should have been done in 1919, though she does acknowledge that the presence of a much stronger United States and Soviet Union changed the situation somewhat. Much of what the peace negotiations of 1919 wanted to achieve was not to be seen until well after 1945. Is that the end of the story, though? We know when the great war of the twentieth century started – those shots in July 1914 in Sarajevo. But, just as the Hundred Years’ War started and ended in Gascony, so the twentieth century war started and ended in Sarajevo with the collapse of the Yugoslav state, created with some trouble in 1919 and never at peace with itself. The end of that process that started with Gavrilo Princip’s shots has not yet arrived. The post-1945 political structure started to unravel in 1991 as the Soviet Union disintegrated but has not stopped doing so. The after effects of the collapse of the Ottoman Empire have recently become stronger in the Middle East. Iraq was created in the 1920s, as were most of the modern states in the area. Started in 1914 and ended when? 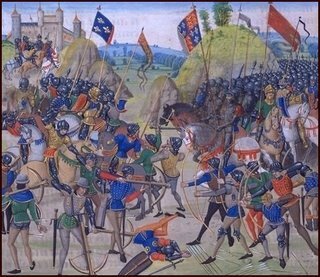 Are we living through another hundred years’ war? Few British Prime Ministers evoke such passionate feelings on both sides than Harold Macmillan, 1st Earl of Stockton. To some he is the hero of one-nation conservatism, the man who had seen the need to take Britain into the Common Market (now the European Union), the Tory toff who, not entirely illogically, believed in the state control of almost every part of British economy, thus, slightly less logically, defeating socialism. To others, he is part of the British problem. His refusal to understand that "manging socialism better than Labour can" contributed to the crisis that was only partially solved by Thatcher's reforms (which he rather grandly criticized in his famous comments about the family silver). There is no getting away from the fact that the man was a fascinating character, devious and secretive, fond of his buffoonish pretence and an excellent speaker. Tory Historian can recall a speech he made at the opening of the new History Department in Oxford, his rather doddery diction suddently acquiring strength and crispness when he came to criticizing people he disliked. The Tory Reform Group has unearthed a recording of Lord Stockton making a speech at the group's 10th anniversary dinner in 1985. Our readers might well enjoy listening to it. Just about two weeks ago I asked a mutual acquaintance about Frank Johnson's health and was told that he was as well as can be expected, though counting each week as a blessing. Those blessings have come to an end. This morning, Frank Johnson died at the age of 63 this morning. The words "after an illness bravely borne" have become a bit of a cliche but in this case they are absolutely accurate. Frank's biography is well-known: the son of an East End pastry cook, he left school with one O-level (reportedly in woodwork) and started his spectacular career as the tea boy on the Sunday Express. 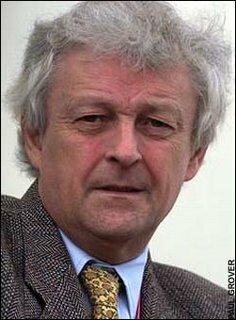 After a stint on the Walthamstow Guardian, Liverpool Post and The Sun, he was hired by that prince of all editors, Colin Welch, to be a reporter in the House of Commons on the Daily Telegraph. He and John O'Sullivan shared the sketch writing, a witty revival of much earlier parliamentary reporting. They also promoted Margaret Thatcher's free-market policies in the late seventies in the teeth of establishment opinion (though they were supported by Colin Welch). An auto-didact, immensely knowledgeable about history, literature, classical music and other cultural matters, Frank Johnson was a natural conservative but one who is unlikely to be appreciated (despite the undoubted crocodile tears that will flow) by the present Tory-Toff leadership. In between other tasks Tory Historian has been ploughing on with Margaret MacMillan’s “Peacemakers”. Actually, that is the wrong expression as the book is very interesting and extremely well written. Even the fact that Dr MacMillan clearly has a special fondness for those two rogues, Lloyd George and Clemenceau, does not detract from the interest in this detailed and vivaciously told book. As the story unfolds the reader can follow the creation and growth of the many problems the world is still trying to grapple with. It will be interesting to see whether Margaret MacMillan will produce the costs of the Paris Conference. The participants of the Great War had come out significantly poorer than they had gone in. 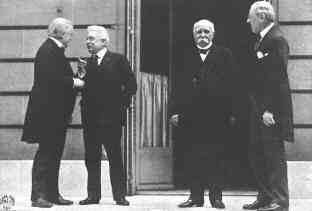 France, in particular, had suffered enormously, both in economic and human terms, as Clemenceau never ceased to remind others of the Conference. Yet it managed to lay on an astonishingly lavish conference and many of the participants spent much of their remaining income on large and well-equipped delegations. The Supreme Council managed to choose a secretary, a junior French diplomat who was rumoured to be Clemenceau’s illegitimate son. (The extraordinarily efficient [Sir Maurice] Hankey, the deputy secretary, soon took over most of the work.) After much wrangling it decided on French and English as the official languages for documents. The French argued for their own language alone, ostensibly on the grounds that it was more precise and at the same time capable of greater nuance than English, in reality because they did not want to admit France was slipping down the rankings of world powers. French, they said, had been the language of international communication and diplomacy for centuries. The British and Americans pointed out that English was increasingly supplanting it. Lloyd George said that he would always regret that he did not know French better (he scarcely knew it at all), but it seemed absurd that English, spoken by over 170 million people, should not have equal status with French. The Italians said, in that case, why not Italian as well. ‘Otherwise,’ said the foreign minister, Sonnino, ‘it would look as if Italy was being treated as an inferior by being excluded’. In that case, said Lloyd George, why not Japanese as well? The Japanese delegates, who tended to have trouble following the debates whether they were in French or English, remained silent. Clemenceau backed down, to the consternation of many of his own officials. But the row has gone on ever since. Today is the 65th anniversary of the attack on Pearl Harbour and here is a picture of what the place looked like immediately after it. Rather than discussing the attack I should like to pose a couple of questions. 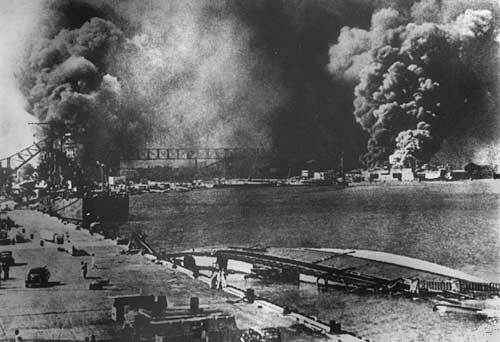 After the Japanese attack on the United States, Germany declared war on that country as well. As it happens, Hitler could have gone the other way. He disliked America and all it stood for but, given his views on race, he could not have been all that fond of the Japanese either. What would have happened if he had allied himself with the United States and declared war on Japan? Or stayed out of the conflict in the Pacific?